An excerpt from my book, Unravelling, releasing soon. I am sitting here in silence; breathing, meditating. No. I don’t control it. No. They are a part of Me. 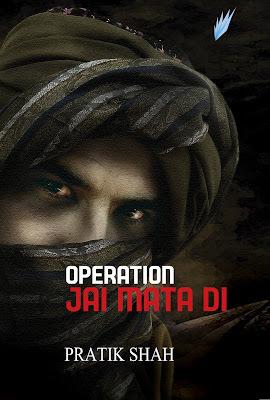 Operation Jai Mata Di – Book Released! In a daring midnight operation by armed men, over 10,000 pilgrims are taken hostage en route to the holy shrine of Vaishno Devi, a popular Himalayan religious-tourist destination in the troubled state of Jammu & Kashmir in Northern India. The hostage-takers threaten to shoot pilgrims every day, unless the incumbent Government accedes to their demands. With the Hindu festival of Diwali just around the corner and elections less than six months away, the Government at the center is under immense pressure to act. What will the Government do? The army? The intelligence agencies? The common man? No terrorist group has claimed responsibility for the attack. Who are these men? Is there a larger plot? Faced with such unprecedented events, will the country descend into unimaginable anarchy or will it rise above the issues of collective apathy and greed that have plagued it since Independence?